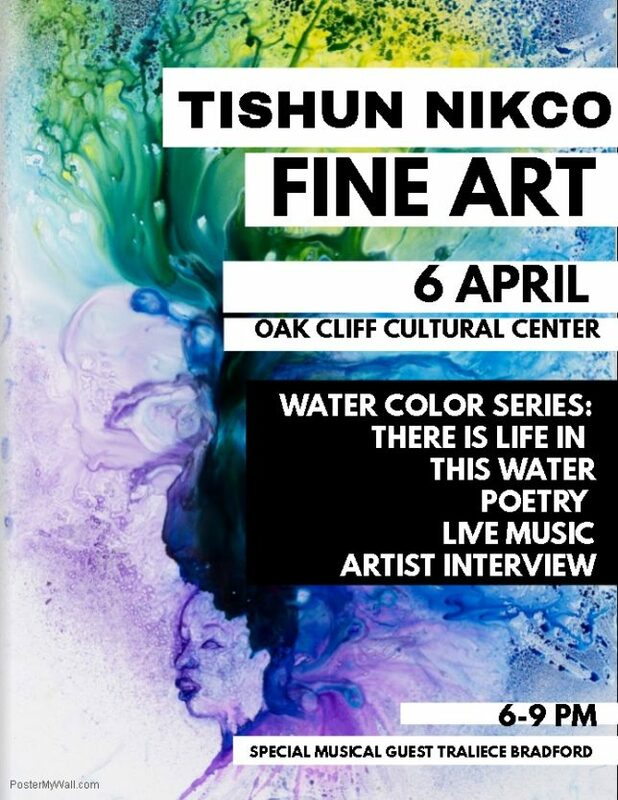 A Festive Dallas Debut of Original Artwork by Tishun NIKCO. This is an intimate look at her vibrant abstract series called “There is Life in This Water” and accompanying poetry from her upcoming book WATER. Featuring a Special Musical Guest Traliece Bradford, singer, composer, and acclaimed violinist.